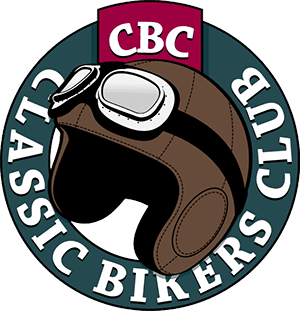 The two-day Classic Dirt Bike Show at the Telford International Centre on February 17-18 will be celebrating the 60th anniversary of its sponsor, Hagon Shocks, by featuring the biggest gathering of Hagon competition machinery ever seen. 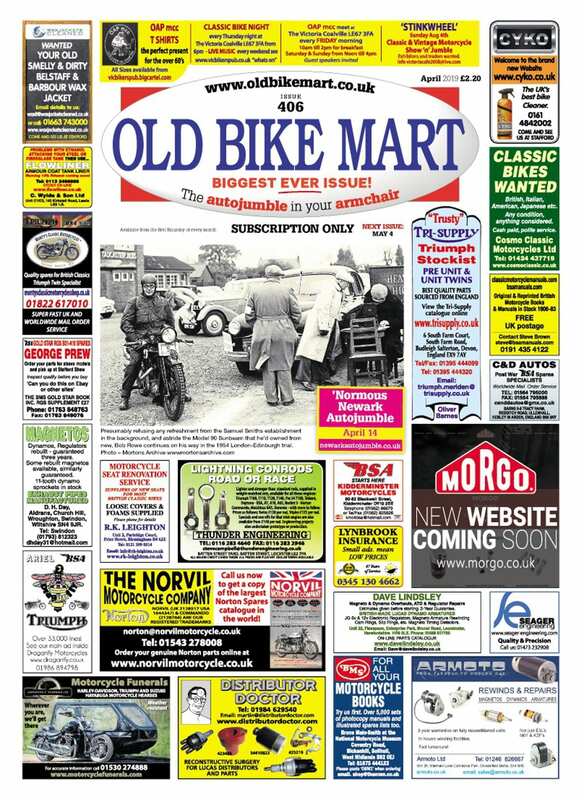 It’s an opportune moment to look back over the long and successful motorcycling career of Alf Hagon himself, now in his mid-80s, whose first bike, a 1937 250cc New Imperial, was acquired at the age of 15 and run on methanol because of the chronic post-war petrol shortage. 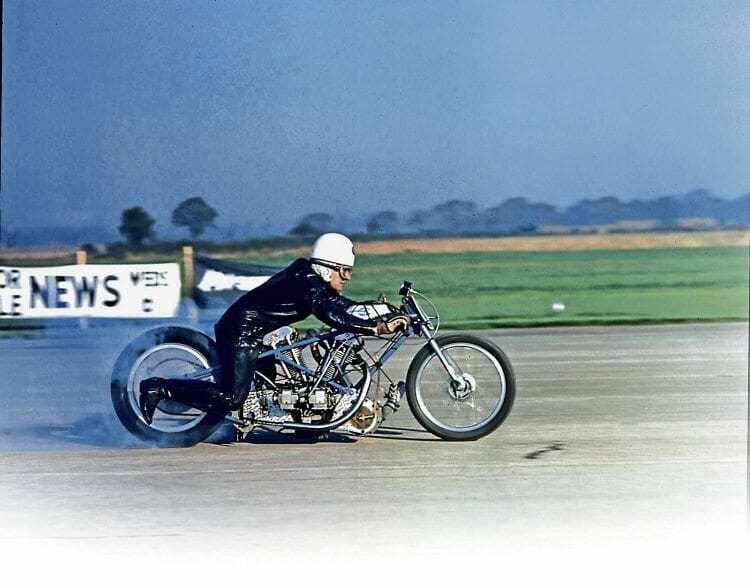 Alf Hagon set a world-record standing-quarter time of 10.64 seconds on his 1300cc V-twin JAP at Elvington on October 16, 1965. 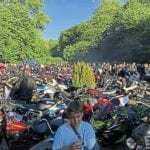 He also set a standing-start kilometre record at 19.90 seconds (112.41mph) and a flying kilometre at 16.22 seconds (137.89mph). 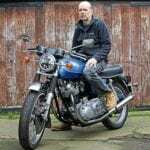 Next came a 350cc Rudge on which, after learning the skills of riding it around local fields with his friends, he entered it in a local grass track meeting in 1947. 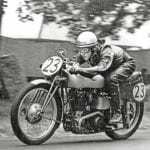 He went on to use the Rudge in all kinds of events, from scrambling to road racing (including the very first road race at Brands Hatch in 1950) and even sprinting. 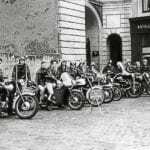 Alf funded his racing from his employment with a furniture-maker and then an engineering firm, and during his speedway career, which spanned the years 1953 to 1965, he rode for Harringay, Wimbledon, Leicester, Oxford, West Ham and Poole, his favourite track being West Ham. 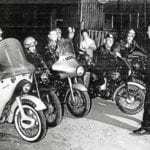 In 1953, he even sampled the Isle of Man TT circuit on a 500cc Norton International after being asked to stand in for an injured rider in a London club team. After reaching eighth position, he had to stop to fix the magneto which dropped him down to 29th.